As dentists and dental services become more specialized, competition for a given audience gets more intensive as well. 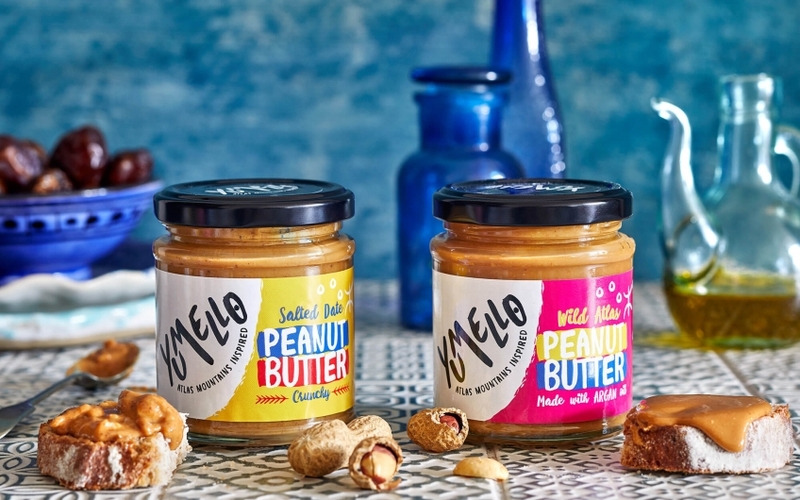 It is only natural that the best representatives of the profession see and understand themselves as brands and, consequently, work on their branding and visual identity. 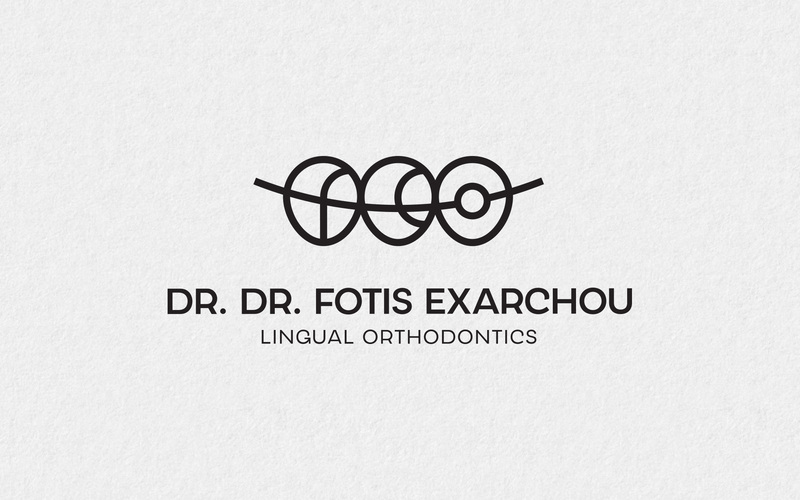 Fotis Exarchou is an orthodontist specialized in Lingual Orthodontics. 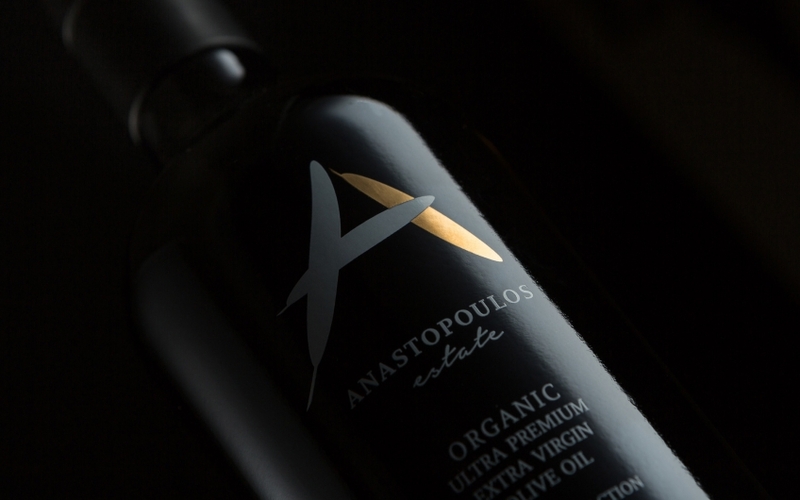 While his practice is based in the city of Ioannina in North-Western Greece, his fame and appeal transcend the confines of the area, as he draws patients from all over Greece – and beyond. 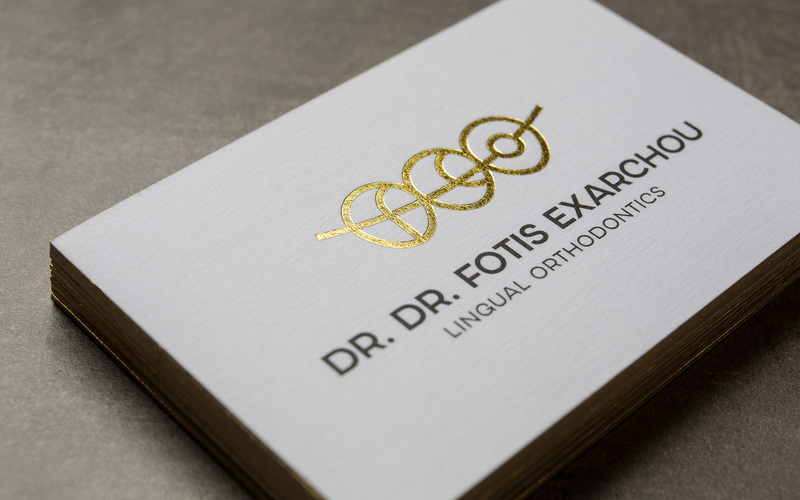 When we were approached to create a logo for his practice, it was clear from the start that something fresh yet clear was needed. There were two ways to deal with this challenge. 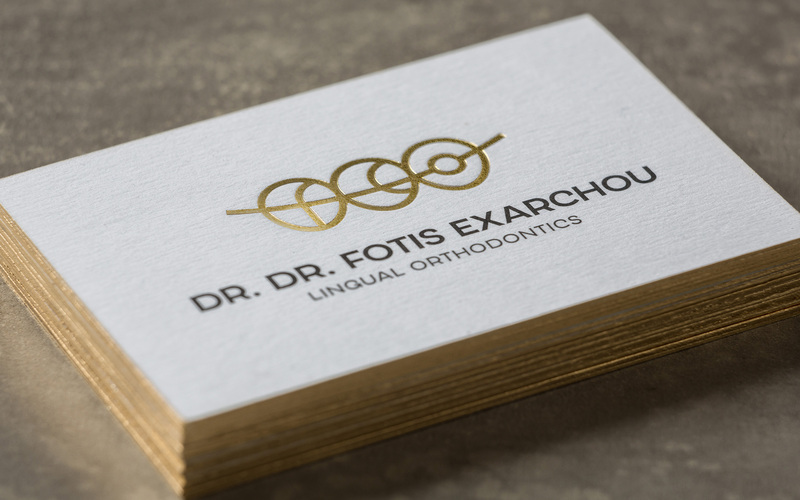 One was to resort to the tried and tested iconography related to dental practice – from that point and on, you can play around with various degrees of seriousness / professionalism vs. playfulness / friendliness, but the idea is the same. 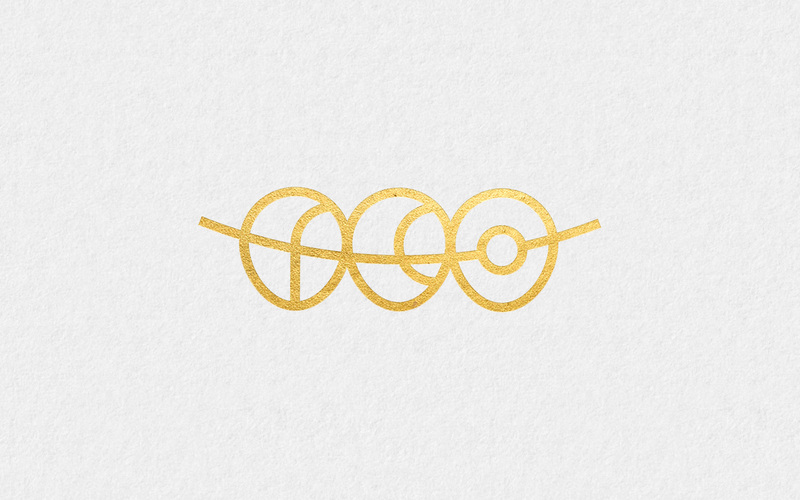 The other was to create a new visual language but without losing track of what the brand is all about though. 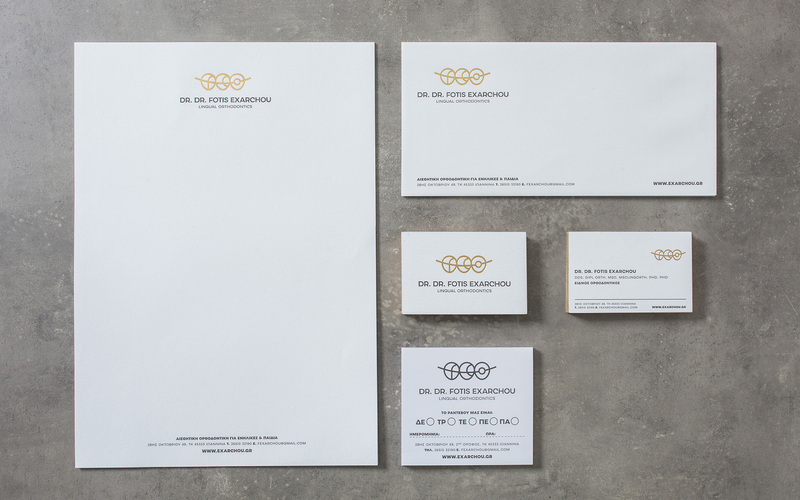 What we wanted was something very personal – the personal touch of the doctor should be highlighted. 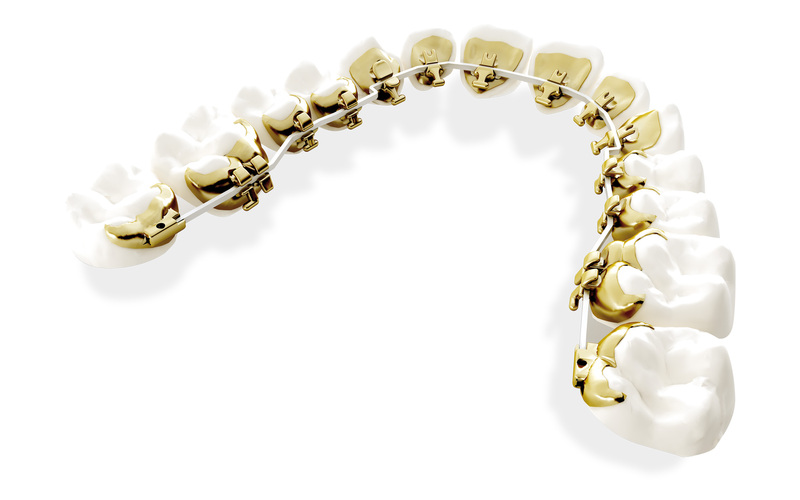 And though the professionalism of the end-result should be there, since a main driver for interventions such as these is aesthetic effect and not only function, aesthetic appeal was very important. The logo that was developed is obviously hinting to teeth, but not in an in-your-face manner. 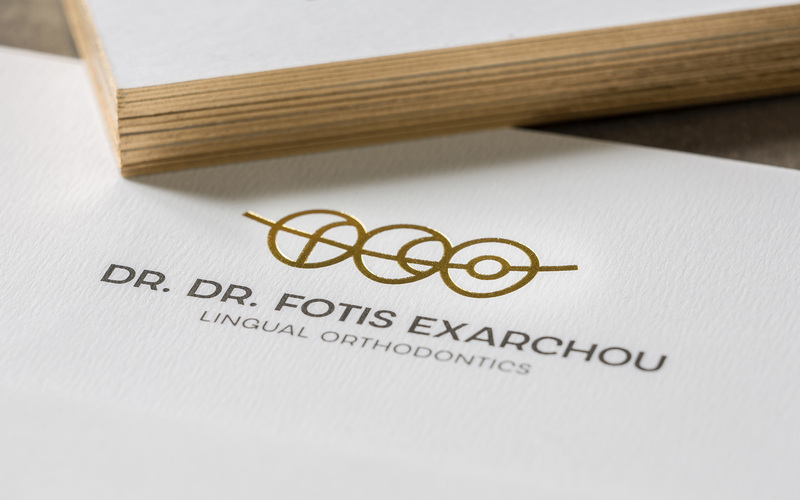 Drawing inspiration from the braces that are an integral part of what the client does every day, we smartly encased the initials of ‘Fotis Exarchou Orthodontics’ into three oval shapes reminiscent of teeth. 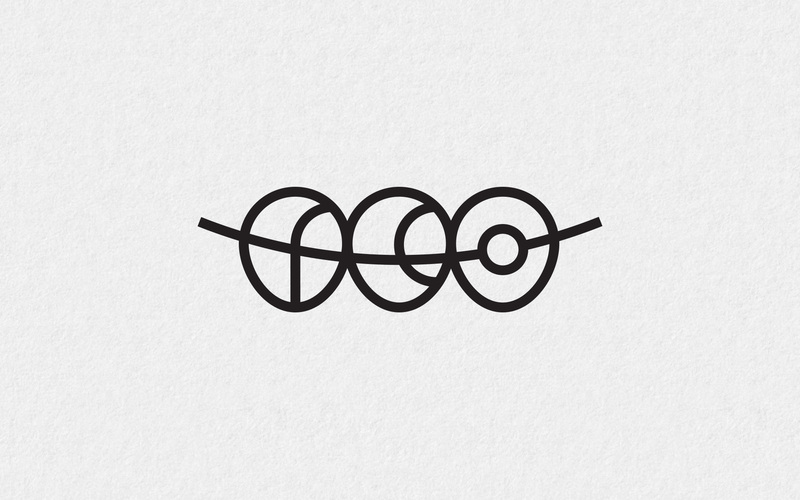 As if made of wire, the three initials are connected by a line that cuts across, highlighting the braces reference. 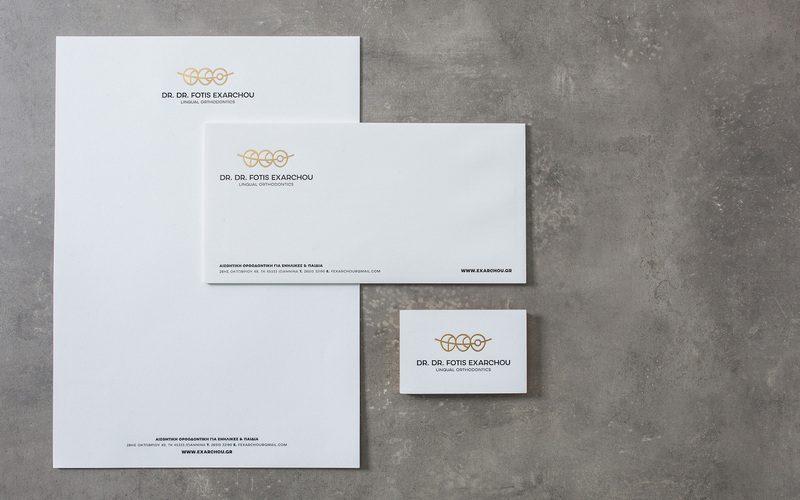 A golden-metallic sheen was consciously chosen for the color of the logo, giving a much needed upscale touch to the result and hinting at the high quality of the service provided.